These Sriracha Bacon Sliders are EASY to make and such a fun appetizer or way to feed a crowd! 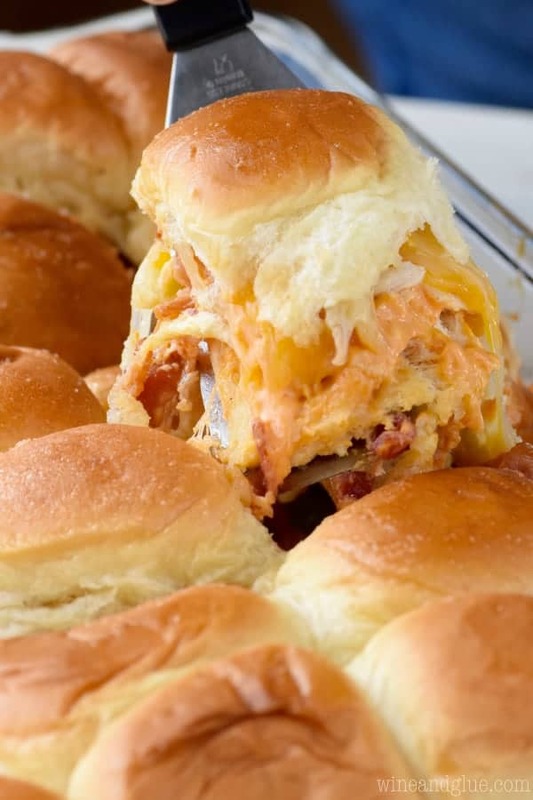 If you need another great sliders recipe, make these Easy Philly Cheesesteak Sliders Recipe! 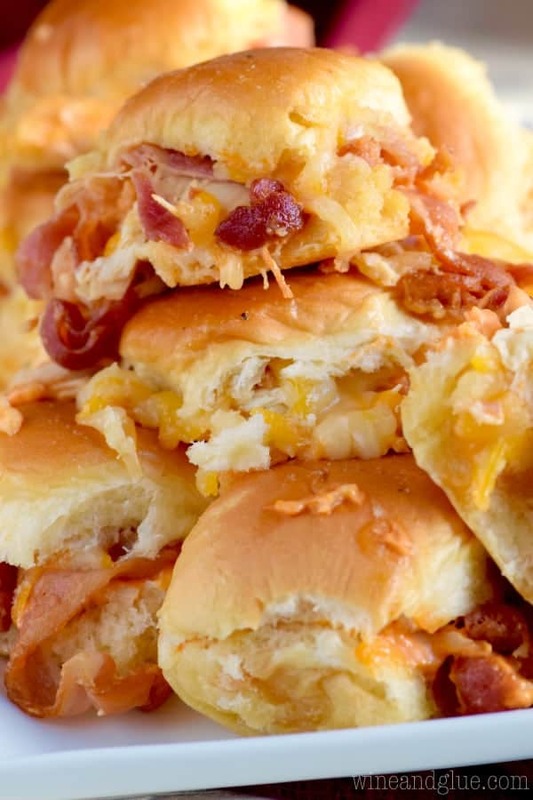 These Sriracha Bacon Sliders are the perfect way to feed a big crowd! They are tasty, gooey, and made with sriracha mayo! 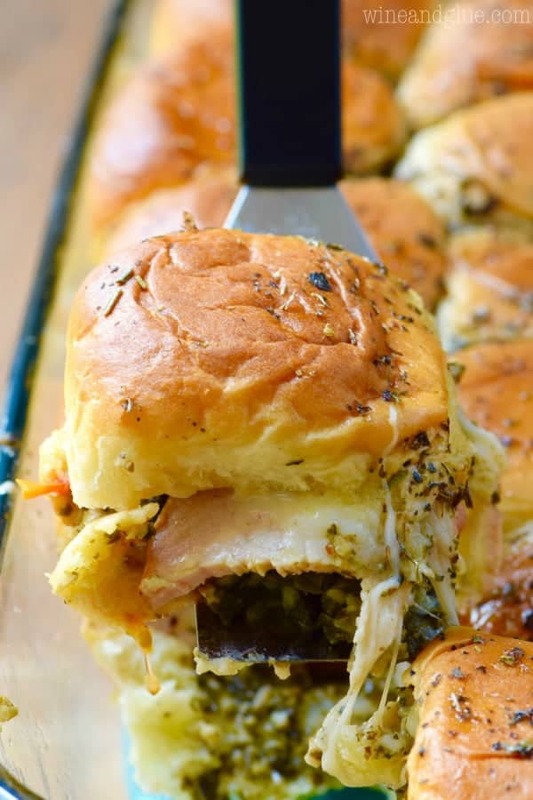 You can make them with deli turkey or with left over Thanksgiving turkey. If you are making these for gameday, make some Italian pinwheels to go with them. You guests can drink these Super Bowl Slammers and then have these amazing Mint Brownies for dessert! You guys, it’s been a hard week. There was stuff in my personal life (no worries, I’m all good now), and then . . . the election. I think it goes without saying that when you run your own business, it’s not the wisest decision to be vocal about politics. Especially at a time that is as divisive as this. So we don’t have to talk about who we voted for. And we don’t have to talk about why. We don’t have to talk about our anger and frustration and the people in our lives who turned out to have views that leave us confused, hurt, and so deeply sad. But can we talk about something else? Can we talk about kindness? Because the thing is? You can be angry, and you can also decide to be kind. It really is a choice. I have seen some things in the last few days, that honestly, I find horrifying. Blatant hatred, racism, and people wanting to isolate themselves from anyone who doesn’t think like they do. Some of it has actually made me physically ill. You guys, we can do better. I get that seeing the way other people think can sometimes leave you feeling like you want to run and hide. Again, I have been physically ill seeing the way some people behave. I promise I do get it. But if we don’t stand up and act as good humans, show kindness and respect to even those people who are acting in a horrifying way . . . nothing will ever get better. I keep thinking about my kids and what we owe them. I don’t just want to teach them to be good little humans, I want to show them what that looks like. So, I implore you. Be kind to someone today. Showing someone else kindness does not mean you agree with their beliefs, decisions, world views, or the way they lead their lives. It just means you have a good sweet soul. It costs you nothing. And it’s totally possible that it will open the eyes of people who don’t think like you. Okay, putting my soapbox away now. In other news, the weekend is here. And it is totally possible that we all need a little break from everything. You guys, you need some friends over to watch a game where a bunch of dudes run around around in tight pants chasing a ball and smashing into each other. Am I right? 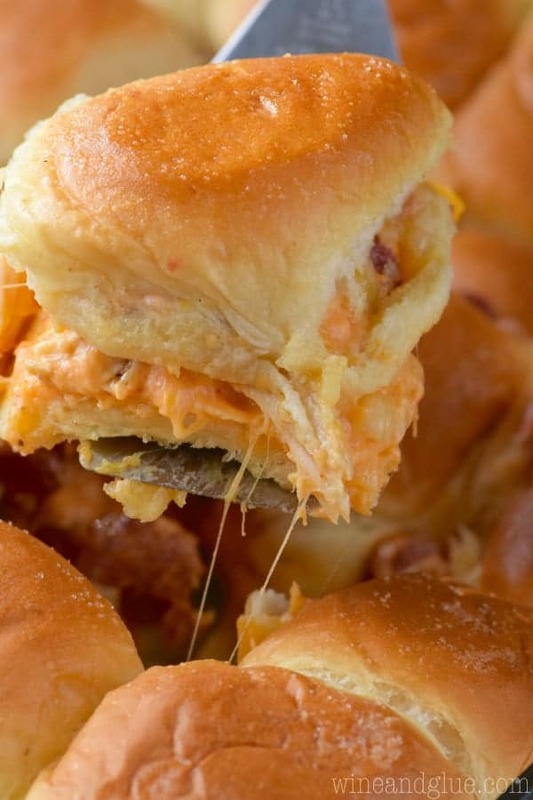 You also need these Sriracha Bacon Sliders. They are a sneaky way of using up some of your left over Thanksgiving turkey without being all, “MORE TURKEY ANYONE? ?” I used the amazing Cajun Turkey I made for you guys the other day, but really any cooked turkey would do. You could even use sliced deli turkey. 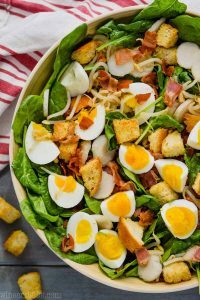 These are super easy to throw together, and gooey, flavorful and delicious. Thank you for reading friends. I know the world is full of great people, and based on some of the incredibly kind comments and emails I get, I know you are some of them. Preheat your oven to 350 degrees. Spray a 9 by 13 inch pan with cooking spray. In a small bowl, mix together the mayonnaise and Sriracha sauce. Set aside. Put the bottom of the rolls in the baking dish. Spread the Sriracha sauce over them, you may not use all of it. 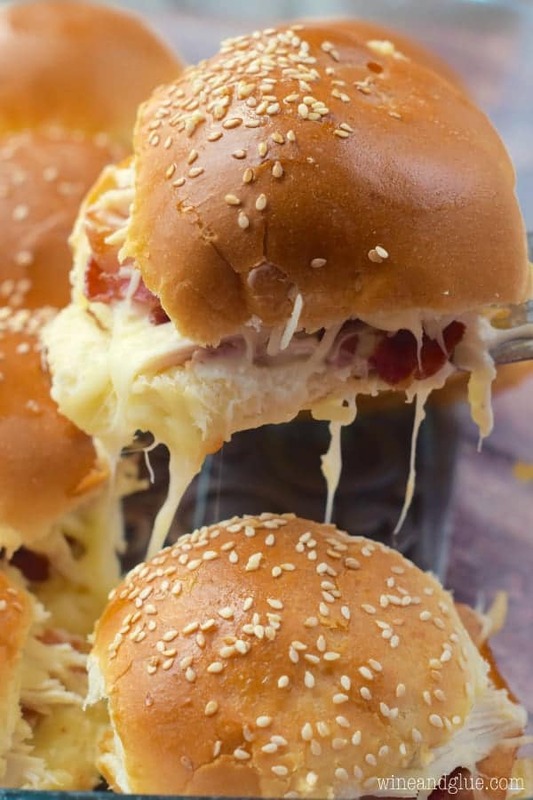 Add the cooked turkey, the bacon, the cheese, and top with the top half rolls. Mix the butter and garlic salt together and spread over the top of the rolls. 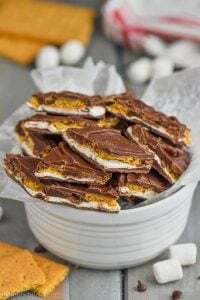 Cover with aluminum foil and bake for 15 minutes. Uncover and bake for 5 more minutes. Serve immediately. If you wanted to make this more as a dinner recipe, you could keep everything the same but use only 12 rolls. Make this Sriracha Honey Roasted Broccoli – such a great side for any dinner! I love the idea of making a fancy meal at home with these Grilled Lobster Tails with Sriracha Butter. And if you want something a little lighter, these Sriracha Tuna Salad Wraps would fit the bill! OMG! These look absolutely amazing! I’m going to make this next time we have friends over! 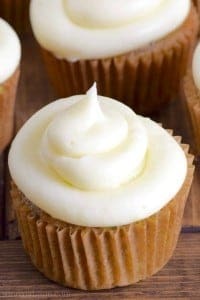 These look amazing, Lisa! And YES. Exactly this. I’ve been horrified and disgusted by what I’ve seen since the election….but it’s time to turn it around. We have to…..for our kids and our future! These look fabulous but I need clarification on the exact amount of Sriracha sauce. The recipe says 1/4 Sriracha sauce. 1/4 teaspoon? Just want to be sure. I’m so sorry about that! It’s a 1/4 cup. 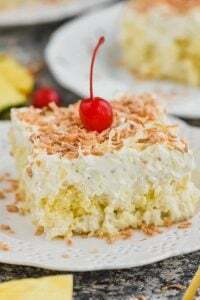 The recipe is updated.